That’s a lot of speed and quite a bit of work up there. The overall project, from start to finish took over a day, but it was split into three different parts. Swap wife’s 500 GB “spinning rust drive” for the 500 GB Samsung 840 Series SSD. Install old 500 GB drive into 2.5″ USB enclosure. Boot off of old 500 GB drive in USB enclosure and use SuperDuper! to create an exact copy on the new 500 GB SSD. Boot from new 500 GB SSD and confirm that things are working. Start and complete Time Machine backup before moving on. That all went pretty smoothly. The longest step was #3 above as I copied everything over from the old hard drive, over USB 2.0, to the SSD. After the Time Machine backup was completed, then it was time to move onto Part Two. Take the “old” 500 GB drive in the external enclosure and hook it up to my work laptop. Clone current drive to the 500 GB drive. Take apart the external enclosure and swap the newly cloned drive for the 500 GB WD Scorpio Black that was currently the internal drive for the MacBook Pro. Boot off of the now-internal-old-drive-from-MacBook and verify things are working. Start a clone of the now-working drive to the new 750 GB external drive I had just received from Amazon. When it was all said and done, the original drive for my 2011 MacBook Pro was back inside and being used as the boot drive. It is slower (the Scorpio Black is a 7200 RPM drive and the standard Apple-supplied drive is 5400 RPM), but I’m anticipating moving to an SSD at work soon too. This is just a preemptive strike in that direction. Once the clone was started, I moved onto the main event. Create a new clone of the Mac mini to an existing 500 GB USB 3.0 external hard drive. Take apart the Mac mini … completely. Use the OSB Data Double to install the 250 GB Samsung 840 Series SSD. Swap the standard internal 2.5″ 500 GB hard drive for the 500 GB Western Digital Scorpio Black I had just take out of the 2011 MacBook Pro. Put the Mac mini together … almost. Find that you forgot a single screw for the power supply. Take apart of the Mac mini … completely … again. Put the Mac mini together. Boot off of the new clone you made before you took the Mac mini apart. Create a new Fusion Drive using the command line version of Disk Utility. Clone your system onto the new Fusion Drive. Boot off of your new Fusion Drive and confirm things are working. Start and complete a Time Machine backup. If I wouldn’t have forgotten that screw, things would have gone a lot smoother. Luckily, it wasn’t a huge deal and I did get everything back together again without causing any damage. The Mac mini really is quite the dense piece of hardware and quite a bit of fun to take apart. Not for the novice, but if you have taken apart a laptop, the Mac mini is no more difficult. Setting up the Fusion Drive using the SSD + HDD was quite simple once I dropped down to the CLI and just followed the directions. Cloning was quick over USB 3.0 and then things, really, just worked. I was, however, not done. Each machine attached to a drive of the proper size. I now have a clone of each machine along with Time Machine backups to my Time Capsule for the 2009 MacBook and 2012 Mac mini and CrashPlan online backups of all three. Was it worth all of the time and effort? Absolutely. The oldest device, the 2009 MacBook, now feels like an entirely new machine. Adding an SSD has bought me some time, hopefully at least a year, until I need to seriously consider getting a new device for my wife to use. The biggest “win” is for Aperture, as it now loads after only a bounce or two and is much more usable than before. That is really cool because that is the one application causing my wife the most trouble. For the Mac mini, the Fusion Drive has been great. Having a 256 GB SSD means that everything is currently stored on the SSD. As I add more media, I will see if the performance is the same, but it is really nice to be back on an SSD and have the added storage of a “spinning rust” disk. 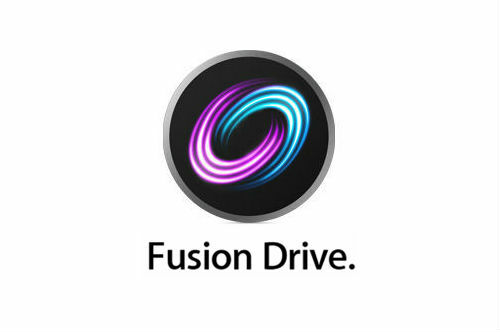 If you are getting a Mac and need a huge amount of storage, I would recommend looking at a Fusion Drive. If you don’t want to pull your Mac apart, just have Apple give you one and be happy. Be aware that YOU NEED TO BE BACKING UP EVERYTHING BECAUSE IF ONE DRIVE DIES EVERYTHING GOES AWAY. With that said, the speed increase is amazing. However, if you have the technical acumen, feel free to do it yourself. It is not a big deal and can be quite a bit of fun. Sadly, the cheaper of all options to go this way. Also a benefit when I have some work come in and get it shipped earlier than expected. Hey Bob, with Mavericks they have built this into Disk Utility! Could you update your post so folks who might not want to use Terminal could use the GUI? I will try and look into what the wording is so that I can updated the post. Thanks!